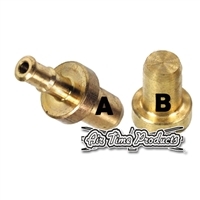 Mikuni Super BN (SBN) 44mm & 46mm Throttle Shaft Bushing. Mikuni Super BN (SBN) Main Jet Check Valve. Plastic T Piece Fuel or Waterline. Plastic Y Piece Fuel or Waterline. Many sizes kept in stock, if the size ordered is not in stock a dispatch delay will apply. Mikuni Super BN (SBN) Internal Fuel Filter. Mikuni Super BN (SBN) Valve Body Gasket. One way vent valve allows fuel to travel in one direction only. Fits: 1/4 Inch Fuel Line. 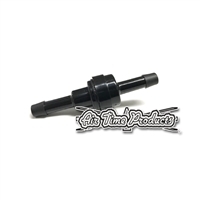 This fuel tank pick-up filter fits on most internal fuel tank pick-ups to ensure clean fuel enters the fuel system. Mikuni Super BN (SBN) Return Arm Spring.